WELCOME TO PAULSVEGASPHOTOGRAPHY.COM. PLEASE READ THIS AGREEMENT CAREFULLY AS IT GOVERNS YOUR USE OF THE PAULSVEGASPHOTOGRAPHY.COM WEBSITE. IT EXEMPTS PAULSVEGASPHOTOGRAPHY.COM AND OTHER PERSONS FROM LIABILITY OR LIMITS THEIR LIABILITY, AND CONTAINS OTHER IMPORTANT PROVISIONS THAT YOU SHOULD READ. PAULSVEGASPHOTOGRAPHY.COM MAY, IN ITS SOLE DISCRETION, CHANGE THIS AGREEMENT FROM TIME TO TIME AS IT RELATES TO FUTURE USE OF THE WEBSITE, BY POSTING A REVISED AGREEMENT ON THE WEBSITE. BY USING THE WEBSITE AFTER THIS REVISED AGREEMENT HAS BEEN POSTED, YOU SIGNIFY YOUR ACCEPTANCE AND AGREEMENT TO BE BOUND BY THE REVISED AGREEMENT. YOU MAY NOT CHANGE THIS AGREEMENT IN ANY MANNER. This Agreement contains the following provisions: Your Acceptance of this Agreement Permission to Use the Website Ownership and Permitted Use of the Website Other Sites/Resources Misprints and Errors Trade-mark Information Unsolicited Submissions Disclaimers, Liability Exclusions/Limitations and Indemnity Personal Information Privacy Affiliate Disclosure Termination Governing Law and Dispute Resolution Other Matters. This is an Agreement between you and all persons you represent (and for purposes of this Agreement, "person" includes natural persons and any type of incorporated or unincorporated entity) and PAUL'S VEGAS PHOTOGRAPHY - PAULSVEGASPHOTOGRAPHY.COM regarding your access to and use of PAULSVEGASPHOTOGRAPHY.COM website and all content, information, products and services available on or through the website (collectively, the "Website"). This Agreement may also provide benefits to PAULSVEGASPHOTOGRAPHY.COM affiliates, service providers, suppliers and other persons. The Website (including all content, page headers, custom graphics, button icons, and scripts and the presentation, arrangement, coordination, enhancement and selection of such and other information in text, graphical, video and audio forms, images, icons, software, designs, applications, data, and other elements available on or through the Website) is the property of PAULSVEGASPHOTOGRAPHY.COM and others, and is protected by us and international copyright, trademark and other laws. Your use of the Website does not transfer to you any ownership or other rights in the Website or its content. The Website is made available to you for your lawful, personal use only. You may use the Website only in the manner described expressly in this Agreement and subject to all applicable laws. Using the Website for any other purpose or in any other manner is strictly prohibited. You may print Website pages provided that you do not modify any of the pages and you do not remove or alter any visible or non-visible identification, marks, notices, or disclaimers. The Website and its content may not be copied, imitated, reproduced, republished, uploaded, posted, transmitted, modified, indexed, cataloged, mirrored or distributed in any way, in whole or in part, without the express prior written consent of PAULSVEGASPHOTOGRAPHY.COM. You may not sell or resell any part of the Website or access to the Website. You may not use any of the software that is used in the operation or provision of the Website except while you are using the Website in accordance with this Agreement. This is an Agreement between you and all persons you represent (and for purposes of this Agreement, "person" includes natural persons and any type of incorporated or unincorporated entity) and PAUL'S Vegas Photography/Elopement Packages Vegas PAULSVEGASPHOTOGRAPHY.COM regarding your access to and use of PAULSVEGASPHOTOGRAPHY.COM website and all content, information, products and services available on or through the website (collectively, the "Website"). This Agreement may also provide benefits to PAULSVEGASPHOTOGRAPHY.COM affiliates, service providers, suppliers and other persons. For your convenience, the Website may include links or references to other Internet sites or resources and businesses operated by other PAULSVEGASPHOTOGRAPHY.COM not related to PAULSVEGASPHOTOGRAPHY.COM (collectively "Other Sites"). Other Sites are independent from PAULSVEGASPHOTOGRAPHY.COM, and PAULSVEGASPHOTOGRAPHY.COM has no responsibility or liability for or control over Other Sites, their business, goods, services, or content. PAULSVEGASPHOTOGRAPHY.COM does not sponsor or endorse Other Sites or their business, goods, services, or content, unless expressly indicated in writing. Your use of Other Sites and your dealings with the owners or operators of Other Sites is at your own risk, and you will not make any claim against PAULSVEGASPHOTOGRAPHY.COM arising from, connected with, or relating to your use of Other Sites or your dealings with the owners or operators of Other Sites. As between you and PAULSVEGASPHOTOGRAPHY.COM , this Agreement, with all necessary modifications, applies to your access and use of any Other Sites and their business, goods, services and content. Please make sure that their services are what you require. PAULSVEGASPHOTOGRAPHY.COM endeavors to provide current and accurate information on the Website. However, misprints, errors, inaccuracies, omissions (including incorrect specifications for products) or other errors may sometimes occur. PAULSVEGASPHOTOGRAPHY.COMcannot guarantee that products and services advertised on the Website will be available when ordered or thereafter. PAULSVEGASPHOTOGRAPHY.COM does not warrant that the content of the Website including, without limitation, schedules, product descriptions or photographs, is accurate or complete. PAULSVEGASPHOTOGRAPHY.COM reserves the right to: (a) correct any error, inaccuracy or omission at any time without prior notice or liability to you or any other person. PAULSVEGASPHOTOGRAPHY.COM, and other names and logos appearing on or in connection with Website (the "Marks") are registered or unregistered trademarks, service marks, trade names and logos owned or licensed by PAULSVEGASPHOTOGRAPHY.COM or their respective owners or licensees. If you send submissions, testimonials, or suggestions ("Submissions") to PAULSVEGASPHOTOGRAPHY.COM or the Website, you automatically grant (or warrant that the owner of the Submissions grants) to PAULSVEGASPHOTOGRAPHY.COM and its successors, assigns and licensees a perpetual, royalty-free, irrevocable, unrestricted, non-exclusive, world-wide, assignable, sub-licensable, right and license to use and exploit the Submissions or any ideas, concepts, know-how or techniques associated with the Submissions for any purpose whatsoever, commercial or otherwise, using any form, media or technology now known or later developed, without providing any attribution or compensation to you or any other person, without any liability whatsoever, and free from any obligation of confidence or other duties on the part of PAULSVEGASPHOTOGRAPHY.COM or its successors, assigns and licensees, and you agree, represent and warrant that all moral rights in the Submissions are waived in favor of PAULSVEGASPHOTOGRAPHY.COM and its successors, assigns and licensees. YOUR ACCESS TO AND USE OF THE WEBSITE AND ANY CONTENT LINKED TO DIRECTLY OR INDIRECTLY THROUGH THE WEBSITE IS AT YOUR OWN RISK. THE WEBSITE IS PROVIDED ON AN "AS IS" AND "AS AVAILABLE" BASIS, WITHOUT ANY REPRESENTATIONS, WARRANTIES OR CONDITIONS OF ANY KIND, WHETHER EXPRESS OR IMPLIED, AND INCLUDING WITHOUT LIMITATION IMPLIED REPRESENTATIONS, WARRANTIES OR CONDITIONS OF OR RELATING TO ACCURACY, ACCESSIBILITY, FITNESS FOR A PARTICULAR PURPOSE, ALL OF WHICH ARE DISCLAIMED BY PAULSVEGASPHOTOGRAPHY.COM TO THE FULLEST EXTENT PERMITTED BY LAW. WITHOUT LIMITING THE GENERALITY OF THE FOREGOING, WITH REGARD TO VENDORS AND INFORMATION PROVIDERS WHICH MAY BE LINKED TO PAULSVEGASPHOTOGRAPHY.COM, WE DO NOT INVESTIGATE, ENDORSE OR OTHERWISE RECOMMEND OR APPROVE OF ANY PRODUCT OR MERCHANT INFORMATION LOCATED ON OR AVAILABLE THROUGH OUR SITE, EMAIL CORRESPONDENCE AND RSS FEEDS/BLOGS. PAULSVEGASPHOTOGRAPHY.COM AND ITS PROVIDERS WILL NEVER BE LIABLE TO YOU OR ANY OTHER PERSON FOR ANY INDIRECT, INCIDENTAL, CONSEQUENTIAL, SPECIAL, PUNITIVE OR EXEMPLARY LOSS OR DAMAGE ARISING FROM, CONNECTED WITH, OR RELATING TO THE WEBSITE OR THIS AGREEMENT INCLUDING BUT NOT LIMITED TO LOSS OF DATA, BUSINESS, MARKETS, SAVINGS, INCOME, PROFITS, USE, PRODUCTION, REPUTATION OR GOODWILL, ANTICIPATED OR OTHERWISE, OR ECONOMIC LOSS, UNDER ANY THEORY OF LIABILITY (WHETHER IN CONTRACT, TORT, STRICT LIABILITY OR ANY OTHER THEORY OR LAW OR EQUITY), REGARDLESS OF ANY NEGLIGENCE OR OTHER FAULT OR WRONGDOING (INCLUDING WITHOUT LIMITATION GROSS NEGLIGENCE AND FUNDAMENTAL BREACH) BY EXCELLENT ROMANTIC VACATIONS.COM OR ANY PERSON FOR WHOM PAULSVEGASPHOTOGRAPHY.COM IS RESPONSIBLE, AND EVEN IF PAULSVEGASPHOTOGRAPHY.COM HAS BEEN ADVISED OF THE POSSIBILITY OF SUCH LOSS OR DAMAGE BEING INCURRED. PAULSVEGASPHOTOGRAPHY.COM TOTAL LIABILITY TO YOU FOR DAMAGES IS LIMITED TO THE AMOUNT OF $100. PAULSVEGASPHOTOGRAPHY.COM does not collect personally identifiable information from you. PAULSVEGASPHOTOGRAPHY.COM does collect email addresses of users who contact us. In order to bring you offers that we believe are of interest to you, we have relationships with several other companies that we allow to place advertising on the pages of our website. Google Chrome: by clicking on the wrench icon in the browser toolbar, and then: Settings - Show Advanced Settings - Privacy - Content Settings - Cookies. 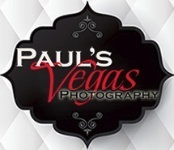 At PAULSVEGASPHOTOGRAPHY.COM, we want to remain transparent with you, our readers, by disclosing information on the companies and programs we have a commercial relationship with. This website receives compensation from some of the companies whose vendors we feature and link to. It helps support this site. We only recommend accommodation or tours we have used or researched thoroughly. Notwithstanding any other provision of this Agreement, PAULSVEGASPHOTOGRAPHY.COM may in its discretion change, discontinue, modify, restrict, suspend or terminate the Website or any part of it without any notice or liability to you or any other person. PAULSVEGASPHOTOGRAPHY.COM may in its discretion and for its convenience at any time immediately terminate, temporarily or permanently, this Agreement or your permission to access and use the Website without any notice or liability to you or any other person. If this Agreement or your permission to access or use all or any part of the Website is terminated for any reason, then this Agreement and all other than existing agreements between you and PAULSVEGASPHOTOGRAPHY.COM will continue to apply and be binding upon you regarding your prior access to and use of the Website, and anything connected with, relating to or arising from your use. This Agreement, your access to and use of the Website, and all related matters are governed solely by the laws of Nevada, USA and applicable federal laws of United States. You hereby irrevocably submit and attorney to the original and exclusive jurisdiction of state of Nevada in respect of all disputes. Any dispute arising out of or relating to this Agreement that it’s not settled by agreement between the parties within a reasonable time will be settled exclusively by binding arbitration by a single arbitrator. The location of the arbitration will be Las Vegas, Nevada. The arbitrator will be selected and the arbitration conducted in accordance with the State of Nevada Arbitration Rules ("Rules") and conducted by the except that the provisions of this Agreement will prevail over the Rules. The parties will share equally in the fees and expenses of the arbitrator and the cost of the facilities used for the arbitration hearing, but will otherwise each bear their respective costs incurred in connection with the arbitration. Depositions will not be allowed, but information may be exchanged by other means. The parties will use their best efforts to ensure that an arbitrator is selected promptly and that the arbitration hearing is conducted no later than 3 months after the arbitrator is selected. The arbitrator must decide the dispute in accordance with the substantive law of Nevada. This requirement does not, however, mean that the award is reviewable by a court for errors of law or fact. Following the arbitration hearing, the arbitrator will issue an award and a separate written decision which summarizes the reasoning behind the award and the legal basis for the award. (iii) Require one party to pay another party's costs, fees, attorney’s fees or expenses. The dispute resolution procedures described in this Article are the sole and exclusive procedures for the resolution of any disputes which arise out of or are related to this Agreement, except that a party may seek preliminary or temporary injunctive relief from a court if, in that party's sole judgment, such action is necessary to avoid irreparable harm or to preserve the status quo. If a party seeks judicial injunctive relief as described in this Section, then the parties will continue to participate in good faith in the dispute resolution procedures described in this Article. The parties agree that no court which a party petitions to grant the type of preliminary or temporary injunctive relief described in this Section may award damages or resolve the dispute. Notwithstanding the foregoing, PAULSVEGASPHOTOGRAPHY.COM is not precluded at any time from seeking injunction relief against the other Party for intellectual property infringement in Nevada or in the jurisdiction where the other Party is domiciled or resident or where the infringement is taking place. If any provision of this Agreement is held to be invalid or unenforceable for any reason, then the provision will be deemed to be severed from this Agreement and the remaining provisions will continue in full force and effect. This Agreement ensures to the benefit of and is binding upon each of PAULSVEGASPHOTOGRAPHY.COM and its successors, assigns and related persons, and you and your heirs, executors, administrators, successors, permitted assigns and personal representatives. You may not assign this Agreement or the rights and obligations under this Agreement. PAULSVEGASPHOTOGRAPHY.COM may assign this Agreement and its rights and obligations under this Agreement without your consent. No consent or waiver by any party to or of any breach or default by any other party in its performance of its obligations under this Agreement will be: (a) deemed or construed to be a consent to or waiver of a continuing breach or default or any other breach or default of those or any other obligations of that party; or (b) effective unless in writing and signed by all parties. Any rights not expressly granted by these Terms of Service are reserved to PAULSVEGASPHOTOGRAPHY.COM.